En Banc Hearing Makes A Number Of Cutting EAJA Fee Shifting Determinations. Well, we are all in a New Year (2019 to be exact), everyone. Top of the Year, with the Ninth Circuit providing an en banc decision of importance in the civil rights/EAJA fee-shifting area. In Ibrahim v. U.S. Dept. of Homeland Security, Nos. 14-16161/14-17272 (9th Cir. Jan. 2, 2019) (published), the Ninth Circuit, in an en banc hearing, had to confront Dr. Ibrahim’s successful challenge to TSA’s “No Fly” list policy, where she was placed on the list although the U.S. government had to admit she was placed on it erroneously and inadvertently, even though the government tried to deadpan the effects. This did not resonate with the Ninth Circuit en banc majority (and much of the other circuit justices in concurring or even dissenting), which did not like the district court’s award of only $419.987.36 in EAJA fees and $34,768.71 in expenses as against the fees request of $3.63 million and costs request of $293,860.18 when plaintiff clearly prevailed completely on one claim. *Determining whether the government’s position was in bad faith (so as to limit EAJA fees to $125 per hour if bad faith is not shown) means a look at the government’s position as a whole in the case rather than at each stage of the litigation. Based on these determinations, a remand was made to award—in our view, a substantially different and greater award—based on the excellent outcome obtained by plaintiff’s counsel. The dissent would have not restudied the “lack of bad faith” determination by the district judge so as to cap EAJA fees on remand at $125 per hour. Prison Litigation Reform Act Did Not Cap Unruh Act Fee Recovery. In Rodriguez v. County of Los Angeles, No. 13-56292 et al. (9th Cir. May 30, 2018) (published), the Ninth Circuit reviewed and affirmed 42 U.S.C. § 1983 excessive force verdicts of $740,000 in compensatory damages and $210,000 in punitive damages (the latter against supervisory individual defendants) in favor of five prisoners severely injured during the course of a cell extraction at the L.A. County Men’s Central Jail (which included the use of taser shocks). The district judge later awarded plaintiffs $5,378,174.66 in attorney’s fees under the federal civil rights statute and California’s Bane Act (Cal. Civ. Code § 52.1), utilizing separate calculations to arrive at the aggregate fee award. This award included a positive 2.0 multiplier in arriving at the award. The Ninth Circuit sustained the fee award in full. The fee limits in the Prison Litigation Reform Act did not apply to cap fees incurred under California Civil Code section 52.1. With respect to the multiplier, it was justified based on the financial risks assumed by the attorneys (who invested $3.4 million in a risky case), the representation of prisoners in an excessive force action against high-ranking jail officials, and the loss of opportunity costs in a litigation which required many years of intensive efforts against aggressive defendants. The district judge also did consider the impact of the award on California taxpayers, finding that the importance of civil rights litigation of this species against large/potentially powerful defendants being such as to outweigh the need for some sort of mitigating fiscal restraint. Only A Quarter Of Fee Request Awarded. Mariano v. United Parcel Service, Inc., Case No. D071055 (4th Dist., Div. 1 May 21, 2018) (unpublished) was a situation where a trial judge eventually found plaintiff’s associational disability discrimination theory was deficient because plaintiff had no specific relationship with a disabled person or and no such association was causally related to plaintiff’s complaint about using a disabled access ramp. UPS moved for an award of $234,982 in fees for prevailing on plaintiff’s complaint or, alternatively, sought a proportionate award of $70,494 for prevailing on plaintiff’s FEHA claims. The trial judge awarded less than a quarter of fully requested fees to UPS, to the tune of $52,870.50. The 4/1 DCA, in a split decision, affirmed. The majority found no abuse of discretion in the award. The apportionment arguments raised for the first time on appeal were waived, with the trial judge actually using a two-step allocation process. In dissent, Justice Dato would have reversed the entire award because he believed plaintiff was arguing for a good faith extension of the law such that ultimately unsuccessful FEHA plaintiffs should not be penalized for such advocacy. District Court’s Articulation Of Reduction Was Clear Enough. Getting a shave. 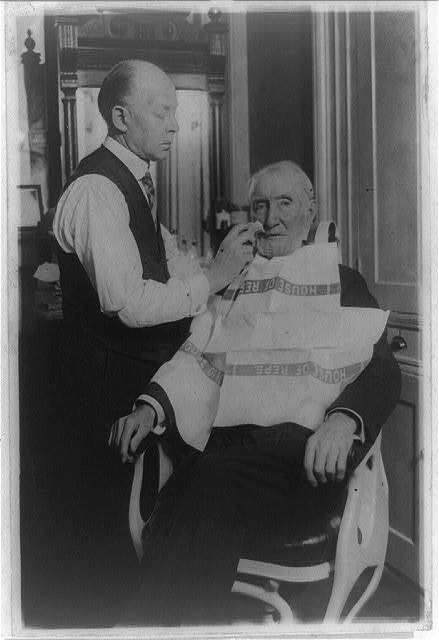 "Uncle Joe Cannon getting one of his last congressional shaves. Bert Broden has been Uncle Joe's barber for the past twelve years." Feb. 26, 1923. Library of Congress. In Dunlap v. Liberty Natural Products, Inc., Nos. 15-35395/16-35113 (9th Cir. Dec. 28, 2017) (published), plaintiff filed and won a claim before a jury for disability discrimination under the ADA and related Oregon statutes, although she lost other claims. Her total damages came to $83,200. She then moved for $235,038 in attorney’s fees under the ADA/state counterpart statutes. The district granted the motion in part, reducing the requested fees by 50% based on lack of success. The Ninth Circuit affirmed. After affirming the merits judgment, it concluded that degree of success (winning on one of five claims) by a prevailing party is a proper reduction factor with respect to a fee request. The district court indicated it was discounting based on that factor, a sufficiently clear explanation of the fee award. $68,382.38 In Costs Not Allowed To Defense Is The Upshot. In Smith v. Sharp Healthcare, Case No. D069206 (4th Dist., Div. 1 Dec. 22, 2017) (unpublished), plaintiff lost a case with both FEHA and non-FEHA claims, with the defense filing a costs memorandum seeking $68,382.38 after plaintiff rejected a CCP § 998 offer of $25,000. The trial judge granted plaintiff’s motion to tax costs in entirety, prompting an appeal by the defense. Based on one jury response, the trial judge properly found that plaintiff’s case was not frivolous so as to justify a refusal to grant costs in accordance with the reasoning in Williams v. Chino Valley Independent Fire Dist., 61 Cal.4th 97 (2015) and Roman v. BRE Properties, Inc., 237 Cal.App.4th 1040, 1057-1058 (2015). The defense argued that it should be granted costs on the separate Health & Safety Code section 1278.5 retaliation claim, but both courts found that it was intertwined with the FEHA claims such that costs were not justified under Roman. Finally, the section 998 offer was governed under the frivolousness standard, Mangano v. Verity, Inc., 167 Cal.App.4th 944, 951 (2008), such that no change in result was in order. Plaintiff Did Not Prevail On His Monetary Claims, And No Injunction/Declaratory Relief Found Against Defendants. After obtaining a jury’s favorable answer to whether plaintiff’s physical condition was a substantial motivating reason for his termination, the jurors found against plaintiff on whether the conduct was a substantial factor in causing harm to plaintiff. Plaintiff then moved to recover $454,857.90 in attorney’s fees under the FEHA fee-shifting statute from the defense, a request denied by the trial judge. That conclusion was sustained on appeal in Bustos v. Global P.E.T., Inc., Case No. E065869 (4th Dist., Div. 2 Dec. 22, 2017) (unpublished). The problem is that a FEHA award is discretionary, and plaintiff never prevailed--although the defense did. No injunction or declaratory relief was entered against the defense, such that the one favorable verdict answer did not justify a fee award in these circumstances. Appellant Failed To Raise The Winning Argument For Reversal. Horsley v. Tourmaline Real Estate Partners, LLC, Case No. B277926 (2d Dist., Div. 3 Dec. 19, 2017) (unpublished) is a lesson in being careful what you plead in your complaint prayer for relief, because it might trigger a bilateral fee-shifting statute. Plaintiff pled for Unruh Act/Disabled Persons Act violations under Civil Code sections 51, 54, and 54.1, with section 51(f) incorporating federal ADA protections. Most of these sections only award fee recovery to a prevailing plaintiff, but section 55 is a bilateral fee-shifting provision allowing recovery to either side if injunctive relief is sought under sections 54 or 54.1. Plaintiff lost his case after a bench trial, with the trial judge awarding the defense $29,600 in attorney’s fees under section 55. The fee award was affirmed on appeal. Although not mentioning injunctive relief in the substantive claims, plaintiff did plead for permanent injunctive relief in the prayer of his Complaint, which was enough to invoke the bilateral “bite” of section 55 against the non-prevailing plaintiff. However, the appellate court also noted that plaintiff may have failed to raise the right argument: on appeal, but not in the trial court (hence, a waiver), plaintiff argued that he wanted injunctive relief under section 52 for a section 51 violation (which carries no bilateral “bite”); and, had he done so, this would have been persuasive because defendant may not obtain a fee award under section 55 for hours inextricably intertwined with hours spent defending the section 51 claim. Ouch! Compensatory Award Was $1 Million, With $1,945,295 FEHA Award Affirmed On Appeal. In Lopez v. City of Beverly Hills, Case No. B268451 (2d Dist., Div. 3 Nov. 30, 2017 unpublished; received for posting Dec. 1, 2017 unpublished), a FEHA plaintiff—after two years of litigation and a 10-day jury trial involving 24 witnesses--won to the tune of $1 million in compensatory damages. She then sought $2,533,167 in fees (a lodestar plus a 2.0 positive multiplier), with the defense arguing plaintiff should only recover $316,645.88 based on her recovery on certain claims. The trial judge reduced the lodestar somewhat after finding the unsuccessful claims were intertwined with the successful claims, but did grant the 2.0 multiplier to result in a fee award of $1,945,295. The fee award was affirmed on appeal. The appellate court sustained the trial court’s conclusion that (1) plaintiff’s lead counsel did a good job in trying the case, (2) plaintiff’s counsel advanced $100,000 in hard costs on the case; and (3) the length of the entire matter (even before complaint filing) and contingency risk justified the multiplier enhancement. Statutory Fee-Shifting Provisions Can Have Real Force In A Case For A Prevailing Party, Even If The Compensatory Damages Award Is Much Less Than Requested Fees. The Bane Act, Civil Code section 52.1, is a broadly-worded California civil rights statute first enacted to combat hate crimes, but construed to protect against all conduct aimed at infterfering with rights secured by the constitutional or statutory law of the U.S. or California where the inference is carried out by threats, intimidation or coercion, whether or not the offending conduct is motivated by discriminatory animus. It is frequently used in the police misconduct area. The important thing, at least for this post, is that allows the trial court to award the plaintiff reasonable attorney’s fees. (Civ. Code, § 52.1(h).) These awarded fees can be quite hefty, even in comparison to the compensatory damages garnered by a prevailing plaintiff. Cornell v. City and County of San Francisco, Case Nos. A141016/A142147 (1st Dist., Div. 4 Nov. 16, 2017) (published) illustrates this well, although the facts of the case were not ones most defendants would want to defend. Basically, plaintiff was a police officer trainee, who while off-duty and in street clothes, went for a run one morning in Golden Gate Park, stopping for a brief rest on a knoll called “Hippie Hill.” From there, two uniformed police officers thought plaintiff was suspicious, resulting in an altercation which result resulted in a criminal arrest/citation (he was taken into custody for six hours and then let go), no subsequent prosecution, and a lost job as a result of the arrest/citation. Plaintiff sued for various torts and under the Banes Act, obtaining a jury verdict award of $575,231 in damages. The trial judge then awarded $2,027,612.75 in fees/costs on the Banes Act claim. Everything was affirmed on appeal, the merits judgment and the fees/costs award. The main merits issue was resolved by a holding that a Banes Act violation is tested by whether the arresting officer had a specific intent to violate the arrestee’s right to freedom from unreasonable seizure, not whether the evidence shows some “coercion” beyond the wrongful detention itself. Once this mens rea element was resolved in a civil context, the fees/costs award was easily affirmed given that no argument was raised to overturn it except based on the merits of the jury verdict in favor of plaintiff (which was sustained on appeal). Trial Judge Also Properly Awarded $15,000 Supplemental Fees For Posttrial Work. For those of you not practicing in the employment/FEHA area, civil rights plaintiffs in disability/harassment/failure to accommodate cases are entitled to recovery of attorney’s fees under a pro-plaintiff statutory fee-shifting provision to be construed liberally to allow plaintiff full compensation for prevailing in these types of cases. The fee (which must be reasonable and not inflated or subject to other infirmities) is calculated by using the lodestar, namely the number of hours multiplies by a reasonable hourly rate for practitioners in the community where the case was venued, augmented or decreased by certain enhancement factors (with the lodestar sometimes adjusted upward for the plaintiff’s attorney carrying the risk of the case on a contingency basis). These principles were well summarized and at play in Estelle v. Los Angeles County MTA, Case No. B268085 (2d Dist., Div. 7 Nov. 17, 2017) (unpublished), authored by a 3-0 panel by Justice Segal. In Estelle, Plaintiff, an MTA business driver obtained a jury verdict of $625,000 in a disability/failure to engage in interactive process case. Under the FEHA fee-shifting statute, plaintiff then requested total fees of $1,171,128, which was inclusive of a 1.75 positive multiplier enhancement. The lower court reduced the base lodestar by 25% for plaintiff’s unsuccessful work on some claims, but did positively adjust the reduced lodestar through an award of a positive 1.5 multiplier—resulting in a total fee award of $752,925.92. Later, plaintiff requested supplemental fees of $75,640.50 (lodestar plus a positive 1.5 multiplier request) for posttrial work, but the trial judge found this excessive and awarded $15,000 instead. All this prompted an appeal by the defense. Nothing changed on appeal. The 1.5 multiplier was no abuse of discretion especially given that the case was taken on a contingency basis and the lawyering was found to be acceptable. Supplemental fees for posttrial and appellate work are allowed under interpretative case law, with the trial judge exercising judgment in reducing for what he deemed to be excessive work when fashioning his $15,000 award. Lack of Proof/Causation, And Some Crazy Assertions, Cemented Appellate Court’s Agreement With Trial Court’s Ruling. 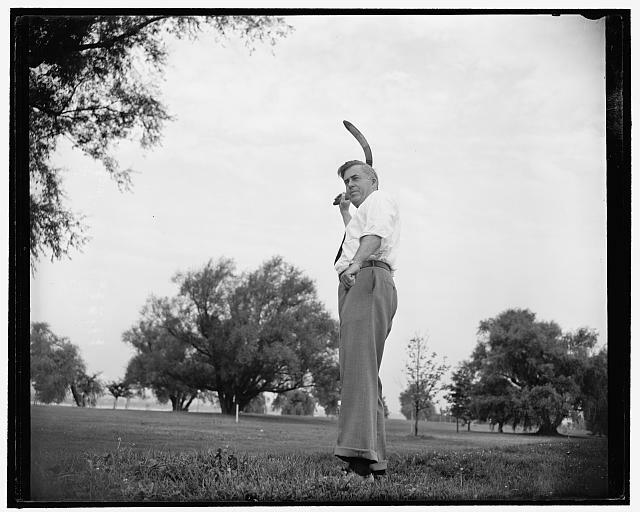 Secretary of Agriculture Henry Wallace practices his favorite hobby, boomerang throwing. July 13, 1939. Library of Congress. Baker v. Charles R. Drew University of Medicine and Science, Case No. B270973 (2d Dist., Div. 2 Oct. 25, 2017) (unpublished) shows how FEHA/whistleblower plaintiffs can be exposed to attorney’s fees where their case is unreasonable, frivolous or meritless in nature. The trial court in this one granted summary judgment on plaintiff’s multi-count FEHA- and whistleblower-driven lawsuit. The defense then moved for an award of attorney’s fees against plaintiff based on the theory that the action was unreasonable, frivolous, meritless or vexatious in nature. (Williams v. Chino Valley Independent Fire Dist., 61 Cal.4th 97, 103 (2015), applying the standard set forth in Christiansburg Garment Co. v. Equal Employment Opportunity Comm’n, 434 U.S. 412, 422 (1978).) The trial judge agreed that this was the case, awarding the defense $94,017.50 in fees. Plaintiff’s appeal was unsuccessful. The problem here was the record of what happened below. Plaintiff alleged that he was born in China and was of Asian descent, although he was truly African-American—not a great credibility starter. Beyond that, plaintiff did no discovery and submitted largely inadmissible declarations to show FEHA discrimination or whistleblower retaliation. Even though the whistleblower claim might have deflected fees, plaintiff’s own testimony showed he had no evidentiary basis for such a claim such that the result below was sound. BONUS: Dr. Charles R. Drew (1904 - 1950) was prominent in the field of blood transfusions, and protested the practically of racial segregation in the donation of blood. Plaintiff Did Not Attempt To Replead Certain Claims In Amended Complaint And Defense Failure On CCP § 128.5 Sanctions Motion May Have Salted Away The Result. “Pocketbook”, a concern in many civil rights fee-shifting cases, may be helped by subsequent efforts of a civil rights plaintiff and unsuccessful sanctions efforts by the defense. Figueroa-Manjung v. Behroozan, Case No. B267942 (2d Dist., Div. 4 Sept. 1, 2017) (unpublished) illustrates how the interaction of these factors may influence a result both before trial and appellate courts. In this one (albeit reversing a demurrer to a public policy state claim), the defense cross-appealed from a trial court’s refusal to grant attorney’s fees to defendant as the prevailing party after a demurrer based on the theory that a FEHA claim was frivolous/pursued in bad faith. The defense sought $65,000 in fees, a request rebuffed at the lower court and intermediate appellate levels. The appellate court did not believe that time-barring of the FEHA claims required a merits-based determination deserving of fee recovery to the defense, relying on a refusal to award fees in and a failure to exhaust administrative remedies case. (Hon v. Marshall, 53 Cal.App.4th 470, 473 (1997).) Beyond that, there were other factors which likely influenced the appellate court in affirming the denial of fees to the defense: (1) plaintiff dropped FEHA and another statutory claim from a second amended complaint (after the demurrer on the statute of limitations issue, basically acknowledging defeat); and (2) the defense previously lost a CCP § 128.5 sanctions motion against plaintiff. District Judge Erred In Denying Any Fees Based On Incorrect Civil Rights Fee-Shifting Analysis. In Miller v. City of Portland, No. 14-35783 (9th Cir. Aug. 22, 2017) (published), a civil rights plaintiff accepted a defense Rule 68 offer for $1,000 with reasonable attorney’s fees to be determined by the district court. After plaintiff moved for fees, the district judge denied any at all based on the ground that the $1,000 award was a de minimis judgment under 42 U.S.C. § 1988, a provision with case law indicating that a nominal judgment does allow for a denial of fees by a district court. The Ninth Circuit reversed, determining that the analysis below misfired by relying on civil rights principles rather than contractual principles in interpreting the Rule 68 offer. By acceptance of the Rule 68 offer, plaintiff was entitled to some amount of fees, given that the offer did not reference section 1988. Remanded to the district judge to fix some amount of fees to be awarded to plaintiff. Plaintiff Sought $36,022, But Was Only Awarded $4,380 In Costs And Fees. Even in the civil rights areas, looks like a lot of cases come down to attorney’s fee rulings. Turner v. Anand, Case No. D070433 (4th Dist., Div. 1 July 13, 2017) (unpublished) illustrates this well. There, plaintiff sued defendant in state court under the Unruh Act based on alleged handicap parking accessibility issues involving a medical office building in El Centro. Earlier, plaintiff had brought an ADA federal court action which was dismissed as moot based on defendant fixing the parking lot, with plaintiff failing to file an amended complaint or seeking fees before the federal court. Later, in the state court action, the parties settled after the defense agreed to pay plaintiff $2,000 and reserve a fee determination for the trial judge. Plaintiff moved to recover fees under the Unruh Act (Civ. Code, § 52(a)) fee-shifting provision to the tune of $36,022 (primarily fees spent in the prior federal action). The trial judge refused to compensate for the federal court activities, awarding instead costs and fees of $4,380. The 4/1 DCA affirmed the fee award over plaintiff’s protests on appeal. Three reasons were given: (1) the federal action was separate, with plaintiff citing no authority that Civil Code section 52(a) allows recovery for work in this separate action; (2) the federal court was dismissed as moot, such that plaintiff should have applied for fees there but likely would have lost because plaintiff did not prevail in light of defendant’s voluntary parking lot fix; and (3) the federal court dismissal did not provide an independent Unruh Act substantive basis for relief in the state court. Decision Considers Fee Shifting Under Education Code Section 44944(f)(2). As discussed in our February 23, 2017 post, fee shifting under Education Code section 44944(f)(2) was considered in Walent v. Commission on Professional Competenece of the LAUSD. Although not published at the time of its filing on February 21, we can now report that the opinion was certified for publication on March 13, 2017. Panoply Of Issues Faced In This Decision. In Lemaire v. Covenant Care California, LLC, Case No. B266493 (2d Dist., Div. 6 Feb. 27, 2017) (unpublished), plaintiff filed a complaint based on wrongful death, elder abuse, and "patients' rights" violations under Health and Safety Code section 1430(b) for treatment of her mother in a skilled nursing facility run by defendant. The jury found against plaintiff on certain claims, but found for her on the patient's rights claims, determining the defendant committed 540 violations under different categories of the H&S Code scheme. In a prior appeal, the appellate court reversed a statutory damages award. The trial judge eventually decided plaintiff, as the prevailing party under Health and Safety Code section 1430(b), was entitled to attorney's fees of $589,290, a 30% reduction, at the trial level; $112,500 in attorney's fees expended in the prior appellate proceeding; and $85,581.08 in trial costs for prevailing at the trial level. The trial court also ruled that defendant had to post a bond to stay enforcement of the fee and costs award. Defendant appealed, winning a little relief but not most. Because plaintiff did vindicate rights applicable to all patients at defendant's nursing home, fees were properly awarded under the H&S Code fee entitlement statute. The amount awarded in fees was reasonable, given the large number of H&S Code violations and the trial judge's 30% reduction in the trial fees requested. Fees on appeal were properly awarded to plaintiff given than the case involved important issues of first impression. Education Code Section 44944(f)(2) Was At Issue. In Walent v. Commission on Prof. Competence of the LAUSD, Case No. B266265 (2d Dist., Div. 7 Feb. 21, 2017) (unpublished), petitioner successfully challenged her dismissal from employment from the L.A. Unified School District. Education Code section 44944(f)(2) allowed her to seek “reasonable attorney’s fees incurred by the employee” from the LAUSD based on her win. The trial court awarded petitioner $199,817 in attorney’s fees based on a lodestar analysis, even though she would have recovered less if the contingency fee arrangement with her attorney prevailed. LAUSD argued that the contingency fee agreement did create a cap on appeal, but that argument was rejected. Case law interpreting this statute holds that the employee does not have to actually pay or become obligated to pay the fees at issue; the statute could have qualified that the fees had to be “actually incurred,” but this language was not present. 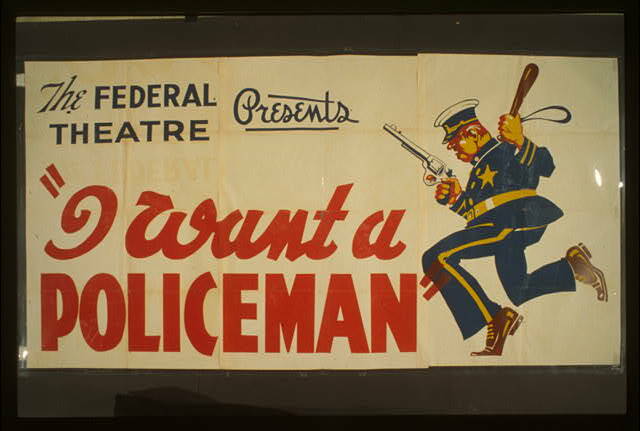 The use of the lodestar was proper, resulting in affirmance of the fee award. Pocketbook, Pocketbook, Plus Lack Of Frivolity Were The Reversing Factors. If you do not think that judges and appellate justices are not attuned to financial disparity, Alvarez v. Bank of America, Case Nos. B238087/B242275 (2d Dist., Div. 4 Jan. 19, 2017) (unpublished) might change your mind or at least provide mollifying food for thought. 11 plaintiffs brought various FEHA discrimination cases and lost them in a summary judgment proceeding, based primarily on a BofA independent investigation showing a true objective basis to discharge plaintiffs based upon fraudulent conduct. However, the racially-neutral basis for discharge was not revealed until some time after the onset of the litigation. Later, BofA moved to recoup about $760,000 in attorney’s fees under the theory the FEHA suit was frivolous in nature. The trial court ultimately agreed, awarding BofA $626,821.22 in fees. The summary judgment merit ruling was affirmed, but the fee award was reversed as a matter of law. First of all, the appellate court believed the trial judge likely ignored plaintiffs’ declarations that they could not pay for the requested fees, which is a relevant concern under FEHA. However, rather than remand, the 2/4 DCA decided that the fee awards could be reversed as a matter of law: BofA claimed the actions were frivolous at the outset, but the record showed that it was only during ongoing discovery stage that plaintiffs learned about the internal investigations showing fraudulent conduct which would show the actions were frivolous during the lawsuit “prosecution” stage. Given that the action was not frivolous at the outset, fee awards reversed. Also, Costs Improperly Excluded From Fee Calculus As Permitted Under § 1983. The Third District in Clapp v. Terry, Case No. C076562 (3d Dist. Nov. 23, 2016) (unpublished) is an important primer on the proper methodology to be used when awarding lodestar fees, fees on fees, and costs in civil right cases to prevailing plaintiffs under 42 U.S.C. § 1983. There, plaintiff won $12,533.43 compensatory and $500 punitive damages in total against two defendants in an excessive force case, although losing related claims and obtaining no verdict against the County, its sheriff, or a deputy. Plaintiff then made two applications for fees and costs pursuant to 42 U.S.C. § 1983. On the first one where $440,473 in fees was sought, the trial judge made some lodestar reductions for efficiency and deduction of hours spent against defendants for which no recovery was had, and then made a .4 further reduction for limited success in the case, bringing the fee award down to $167,116.32. The lower court also failed to award some costs which were included in the fee request. Plaintiff appealed those determinations. The second application, for “fees on fees,” sought $72,506.50 in fees and $2,126.70 in costs. The lower court awarded them all, determining that the limited success consideration only went to the merits and should not be factored into the “fees on fees” calculation. This prompted an appeal by the two losing defendants.